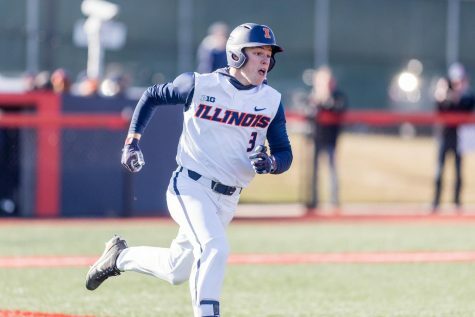 Illinois' Doran Turchin (20) runs to first base during the game against Bradley at Illinois Field on Tuesday, March 28. 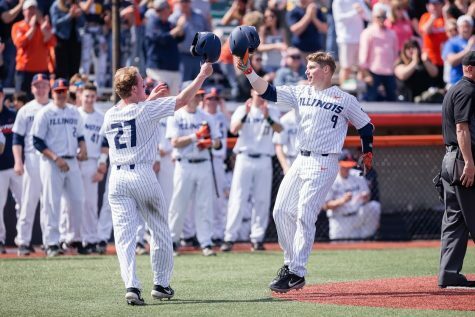 The Illinois baseball team endured a four-game losing streak last week. 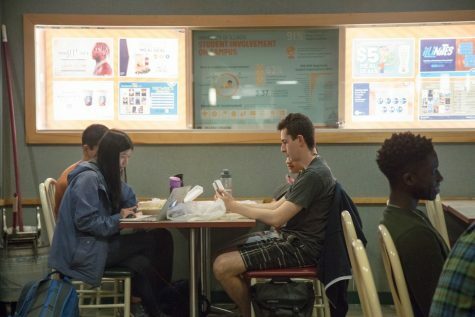 The team had struggles on defense, and the offense did not provide enough to overcome the deficits it fell into. During the losing streak, the team was outscored, 43-11. 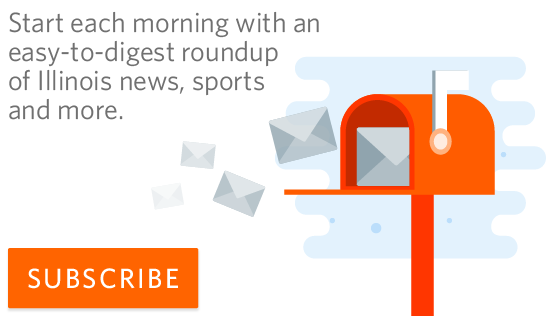 The Illini were 6-16 on the season and showed no real signs of a looming change. However, this past week, things have been going differently. 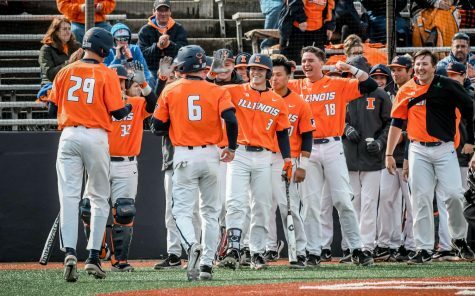 Following a sweep of Indiana State, Illinois continued with a 5-3 win over Mizzou (21-8) in its annual Braggin’ Rights game. 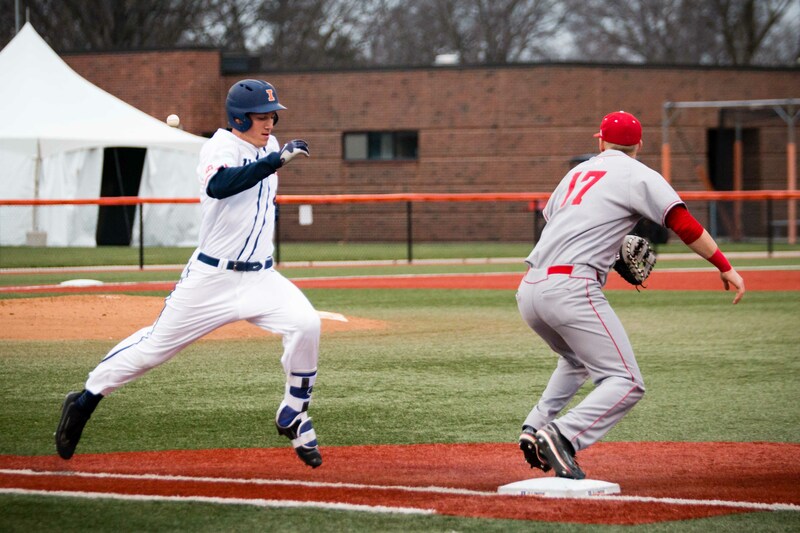 The Illini are currently on a four-game winning streak and have improved their record to 10-16 on the season. 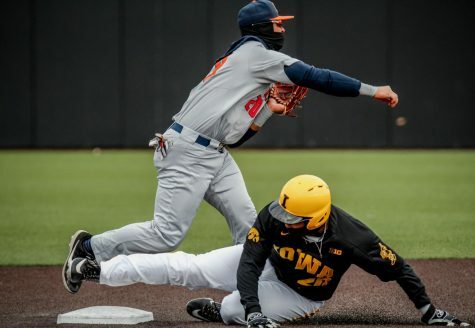 Despite the improvement and added momentum, the Illini will face one of their toughest challenges yet this weekend: a three-game series with No. 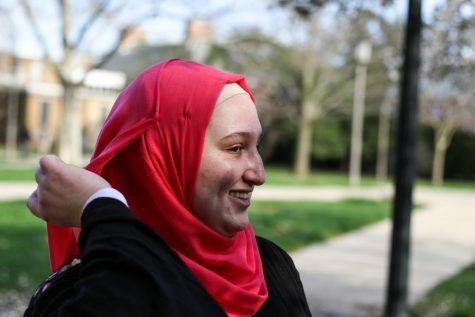 18 Michigan. 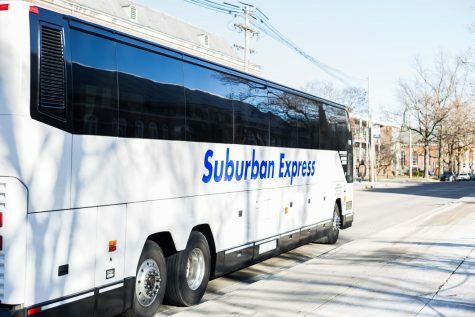 The Wolverines are 23-6 this season and are riding a seven-game winning streak heading into the series. They also have lost just one of the 11 games played at home. 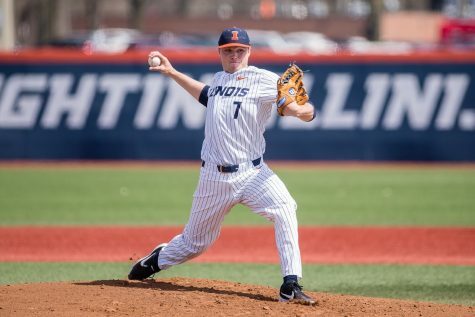 In its last four games, the pitching staff has allowed just over two runs per game, a steady improvement from its season average of 6.20 per game. 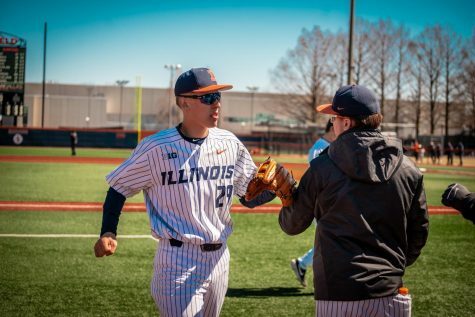 Improvements for the Illini have come from the staff as a whole, but underclassmen Ty Weber and Joey Gerber have been two of the most effective pitchers over the last couple series. 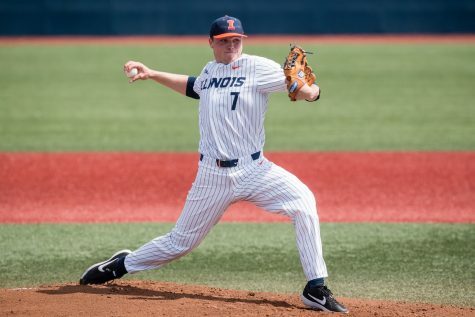 Weber was recently named Big Ten Freshman and Pitcher of the week after throwing a complete game and allowing just one run in his start against Indiana State. Following this past week, his ERA is down to 3.80 on the season — second lowest on the team — and he leads in innings pitched with 42.2 so far. 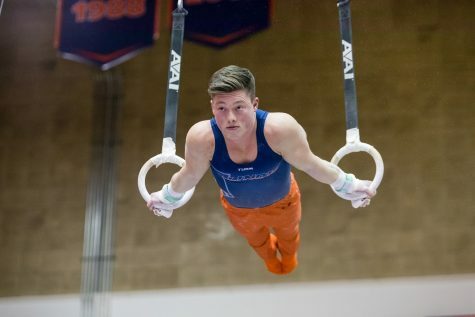 Gerber has been one of the most consistent on the staff all season, but after recent performances he has brought his season stats to a new low. 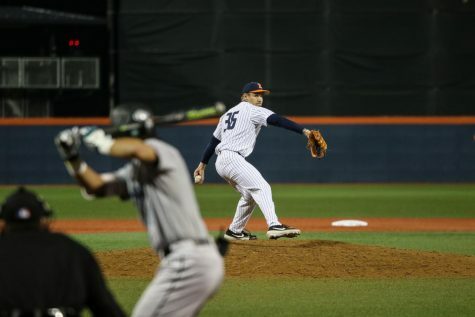 The sophomore has now gone nine straight appearances without giving up an earned run — a streak that runs all the way back to March 5, in his game against Florida Atlantic. On the offensive side, the Illini have been almost equally as hot. 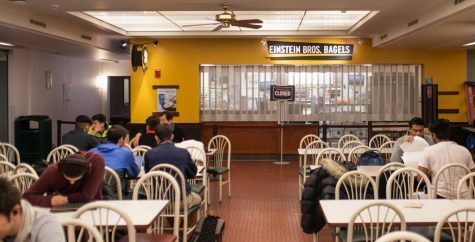 Senior first baseman Pat McInerney has lead the charge, as well as increased contributions from sophomores Casey Dodge, Jack Yalowitz and more. 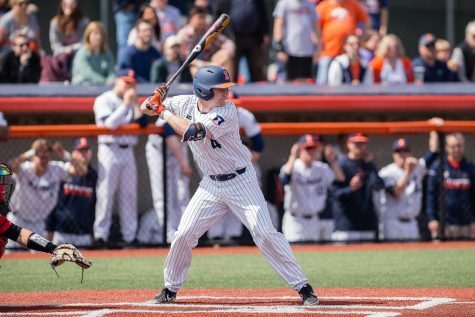 McInerney has hit home runs in three of his last four games, bringing him up to 11 on the season, and has brought his batting average up to .333 this year. 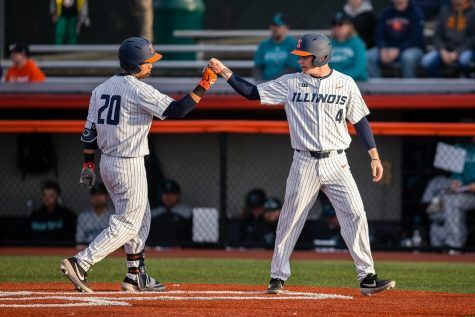 In those games McInerney has hit just under .500, and has already surpassed his season home run high on the season, which was previously seven. 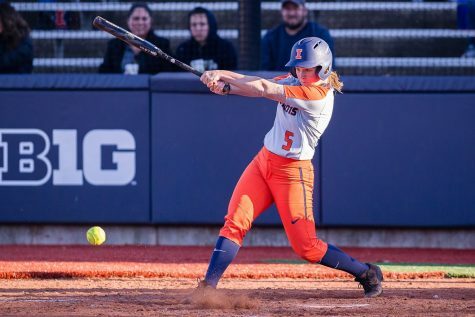 But, the Illini will have a tough challenge this weekend as they will face two of the top ten pitchers in the Big Ten in terms of strikeouts — a problem the Illini have struggled with from time to time. Michigan’s Oliver Jaskie leads the Big Ten in strikeouts with 54 in just 40 innings, while his teammate Ryan Nutof is not far behind in sixth with 39 in 37 innings. The games will be played Friday at 4 p.m., Saturday at 2 p.m. and Sunday at 1 p.m.